HomeSelf-Healing Glass: The Next Great Accidental Scientific Discovery? Self-Healing Glass: The Next Great Accidental Scientific Discovery? Most of the electronic devices with touchscreens we’ve come to depend on these days need tough, protective glass for their interfaces to keep working. These hard, transparent coatings for LED displays can keep a device working for years; on the other hand, even faint cracks in this glass can ruin the user experience. Major fractures in the glass of phone or tablet screens can also render these gadgets unreadable or unusable. The manufacturers of glass for modern-day computing have made yearly advances on the claims they make for the durability and shatter-resistance of their panels, but can’t avoid the damage associated with serious falls or impacts. Unfortunately, polymer scientists can’t seem to develop a glass type that can repair itself without external factors such as high heat. However, this convention may just have been turned on its head. A team of engineers working in Japan have reported the creation of a new compound that can heal automatically when it cracks. These scientists include Yu Yanagisawa, a graduate student at the Department of Chemistry and Biotechnology in the University of Tokyo’s School of Engineering and the RIKEN centre for material science, who discovered the polymer while assessing it as a new form of glue. While doing this, he happened to find that the polymer’s surface could “heal” from being cut, as the severed edges would readily re-adhere to each other. Further experimentation found that the material would regain uniformity after being sliced up in response to compression. This could occur at only 21⁰C, meaning it could self-heal at room temperature (which is definitely not a feature of glass). The student wrote a paper published in Science on the subject as a first author, along with Takuzo Aida, a professor at the School of Engineering and RIKEN. Kou Okuro and Yiling Nan of the University of Tokyo also co-authored the paper. This new compound is a form of thiourea augmented with poly-ether. It is described as a low-molecular weight polymer with cross-linked hydrogen bonds. These properties are nearly a polar opposite to conventional glass, which is of a high molecular weight and prone to crystallisation. This makes it much less likely that the edges of a broken glass surface will re-anneal easily, without the application of temperatures of over 100⁰C. This step is necessarily to get materials such as glass to “re-order” their crystals into more desirable conformations, which is why glass that has been melted together can be transparent again after cooling. Poly-ether-thiourea, on the other hand, is reported to exhibit an unusual hydrogen-bonding pattern that zig-zags through the material and promotes more even reparability without irregular crystallisation. Therefore, the polymer can regain its normal conformation and appearance after damage. Poly-ether-thiourea, like glass, has a markedly slow diffusion profile, but apparently heals itself much better than glass nonetheless. The properties of poly-ether-thiourea, therefore, apparently allow it to “stick” back together at broken edges, and seal such a fracture together by itself in response to compression and room temperatures alone. Yu Yanagisawa and his team also claim that the material is mechanically robust, and retains this property even after it has healed itself. The team now propose that this discovery has a pivotal role in the sustainability of future human civilisation. 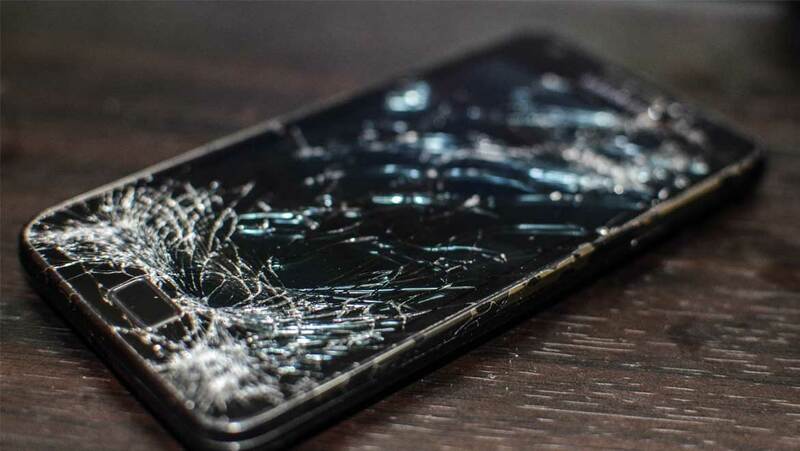 It may indeed prevent the disposal of devices such as mobile phones with cracked screens – presuming that its properties hold true in real-world testing. On the other hand, devices that become defective due to screen damage can become useful again if the glass or entire display can be replaced. However, considering the expense that this can entail (for example, front or back repairs for the iPhone X are said to cost approximately $300) a future with poly-ether-thiourea that works as reported may be one in which devices get much more cost-effective and durable. Some of the greatest scientific or engineering discoveries that influenced human advancement were complete accidents. For example, Fleming discovered penicillin after encountering a fungal contamination. Now, there is a fresh new 2017 version of such a report, published in the December edition of Science magazine. The potential commercial applications of this new, low-weight “sticky glass” may be considerable, especially considering that conventional, shatter-prone glass is such an integral part of everyone who uses everyday personal computing. Hopefully, engineers such as Yu Yanagisawa can work on its development soon, so we can see if self-healing glass will be part of our future. Yanagisawa Y, Nan Y, Okuro K, Aida T. Mechanically robust, readily repairable polymers via tailored noncovalent cross-linking. Science (New York, NY). 2017.